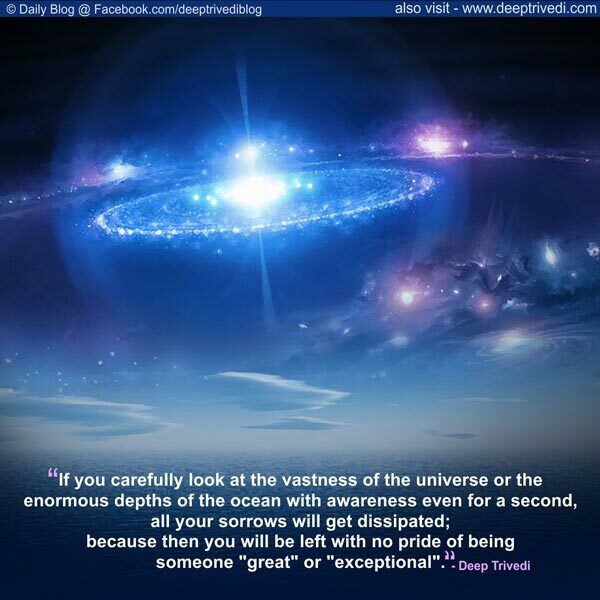 If you carefully look at the vastness of the universe or the enormous depths of the ocean with awareness even for a second, all your sorrows will get dissipated; because then you will be left with no pride of being someone “great” or “exceptional”. 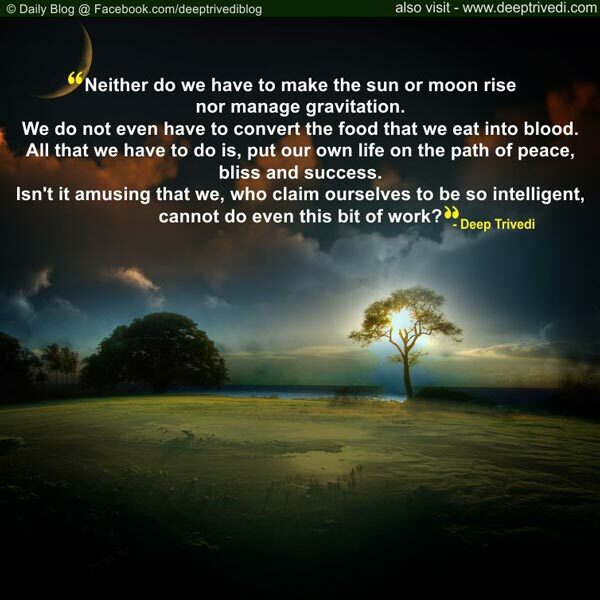 Neither do we have to make the sun or moon rise nor manage gravitation. We do not even have to convert the food that we eat into blood. All that we have to do is, put our own life on the path of peace, bliss and success. Isn’t it amusing that we, who claim ourselves to be so intelligent, cannot do even this bit of work? 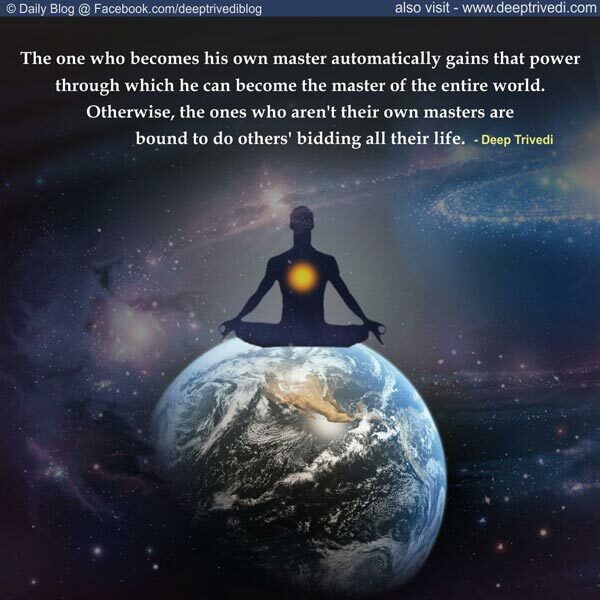 The one who becomes his own master automatically gains that power through which he can become the master of the entire world. Otherwise, the ones who aren’t their own masters are bound to do others’ bidding all their life. 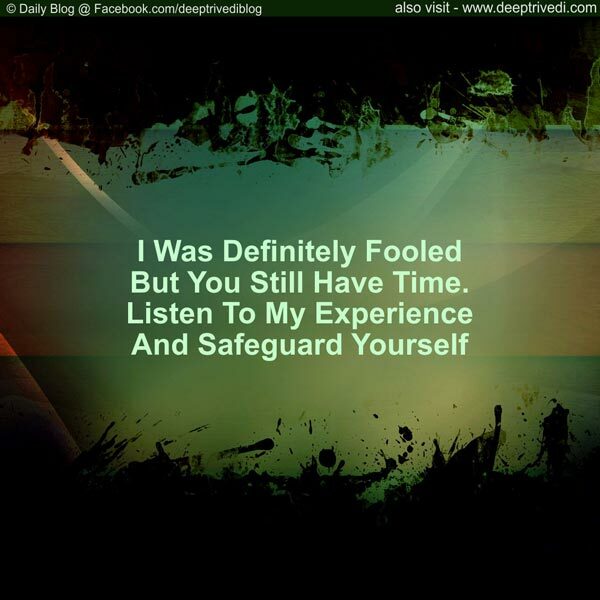 To show the path of life many a times a ‘foe’ is far more helpful than friends. 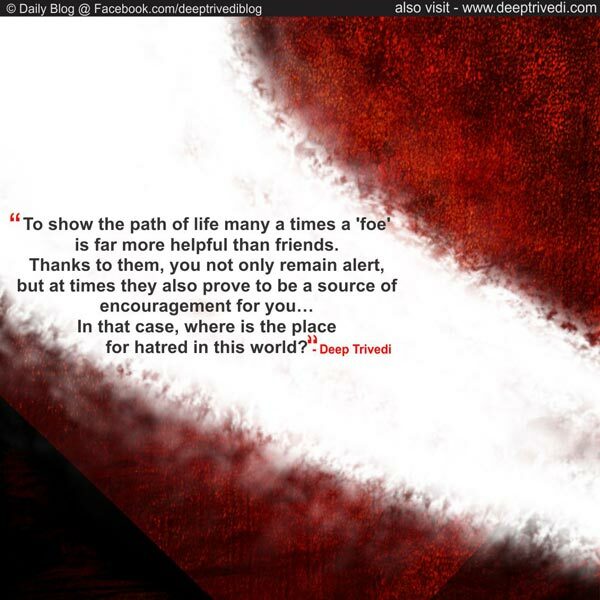 Thanks to them, you not only remain alert, but at times they also prove to be a source of encouragement for you… In that case, where is the place for hatred in this world? 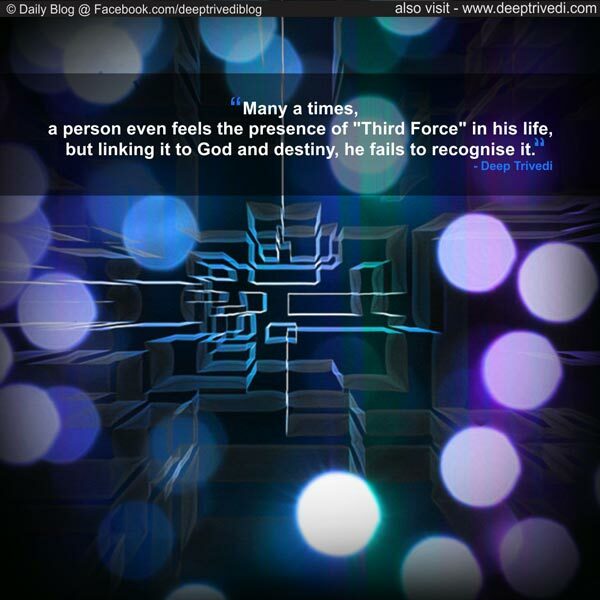 Many a times, a person even feels the presence of “Third Force” in his life, but linking it to God and destiny, he fails to recognise it. In a child’s brain, nothing like good – bad, mine – yours or vice – virtue exist. By way of conditioning, all these are fed into his system. Likewise, the child’s liver cannot take spicy or fried food, for that too it needs to be trained.